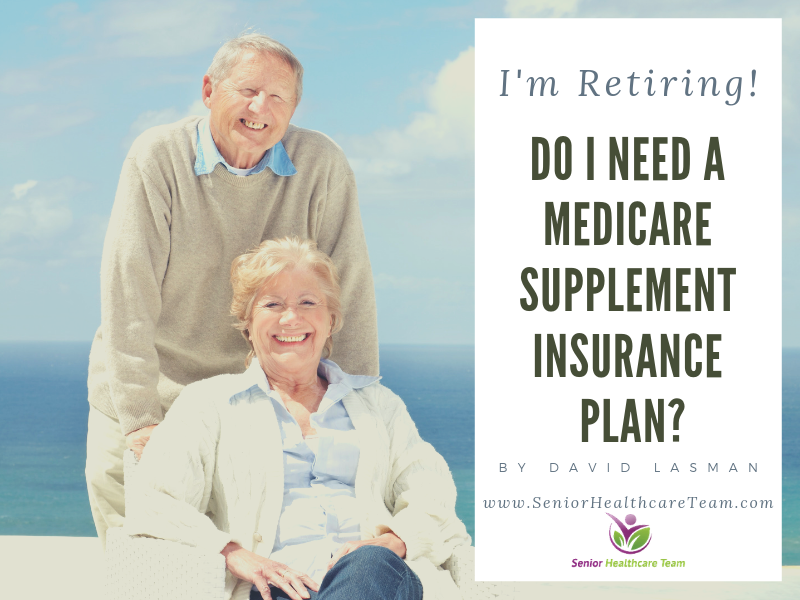 Articles I’m Retiring – Do I Need a Medicare Supplement Insurance Plan? · You travel extensively outside the United States and would like insurance coverage for emergency medical care abroad, which Medicare Part A and Part B might not provide. Some Medicare Supplement insurance plans provide foreign travel coverage (e.g., Plan C, Plan D, Plan F, Plan G, Plan M and Plan N). These plans may pay 80% of covered emergency medical costs when you’re outside the country, up to plan limits. · You’re likely to have multiple hospital stays during the course of a year. · You expect to have frequent doctor visits or medical services. · Your stand-alone Medicare Part D Prescription Drug Plan premium, if applicable Premiums for Medicare Supplement insurance plans can vary widely. As with any purchase or proposed purchase, it is wise to shop for the best price for the coverage you think you will need. · Medicare Advantage plans limit the maximum out-of-pocket expenses you pay for covered services during the year, so your costs can’t keep piling up beyond a certain amount. If you spent up to that amount, the plan may cover all your approved Medicare-covered expenses for the rest of the calendar year. This might be helpful after you are retired. · Depending on the plan type, you might have to use a network of participating providers to receive the full benefits of the plan. · You have to reside in the plan’s service area.